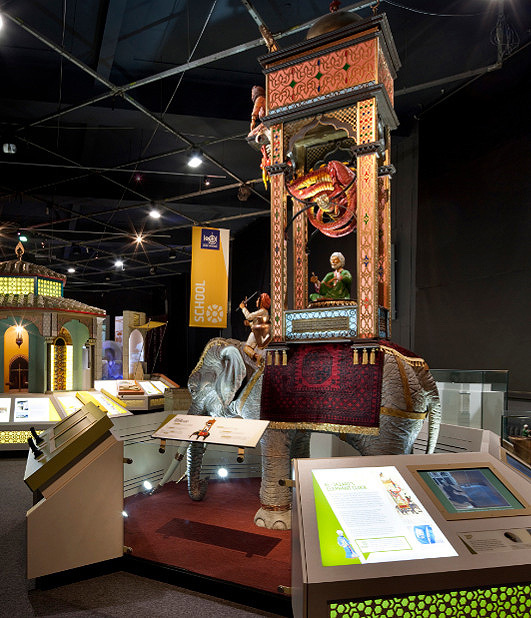 1001 Inventions launched the global tour of their block-buster exhibition at the world famous London Science Museum on the 21st January 2010. 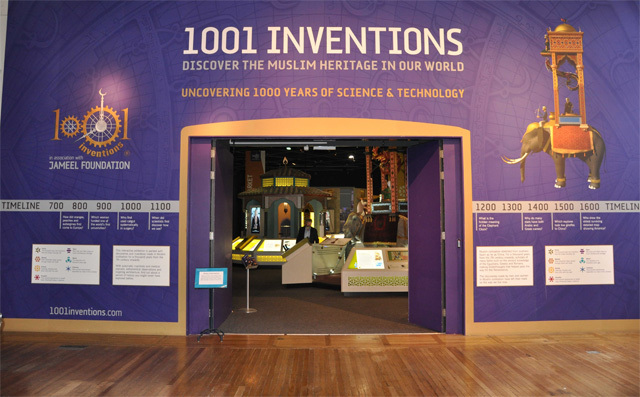 The exhibition entitled - 1001 Inventions: Discover the Muslim Heritage in Our World, traces the forgotten story of a thousand years of science from the Muslim world, from the 7th century onwards. 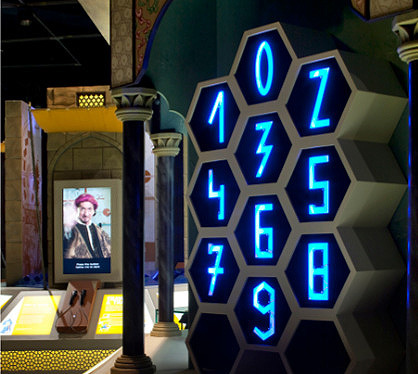 This free entry exhibition, which ran until 30th June 2010, looks at the social, scientific and technical achievements that are credited to the Muslim world, whilst celebrating the shared scientific heritage of other cultures. 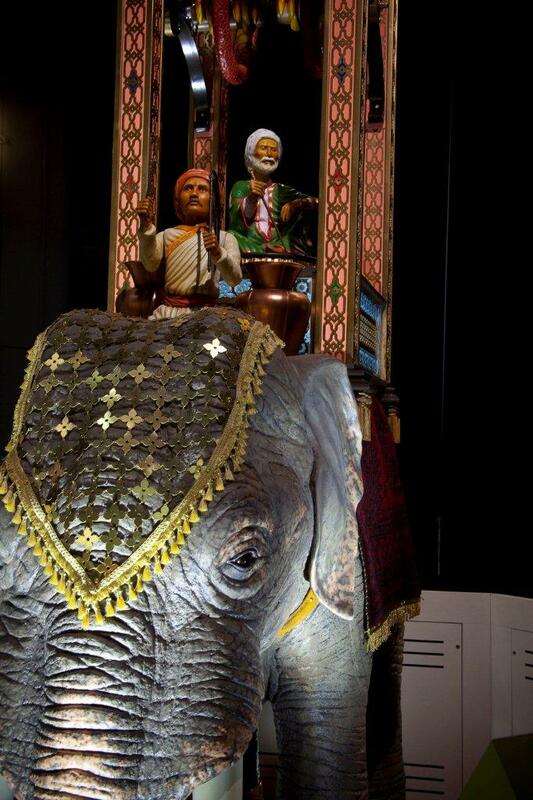 The exhibition became an overnight success and coveted media attention from all corners of the globe. By the end of its residency at the museum it attracted over 400,000 visitors making it the most successful touring exhibition in the museum’s esteemed history. The high profile launch of the 1001 Inventions exhibition on 21st of January 2010 was attended by the world’s media and officially opened by Professor Chris Rapley, Director, Science Museum, London, Professor Salim T. S Al-Hassani, Chairman, FSTC; Lord Waldegrave, Chairman, National Museum of Science and Technology. 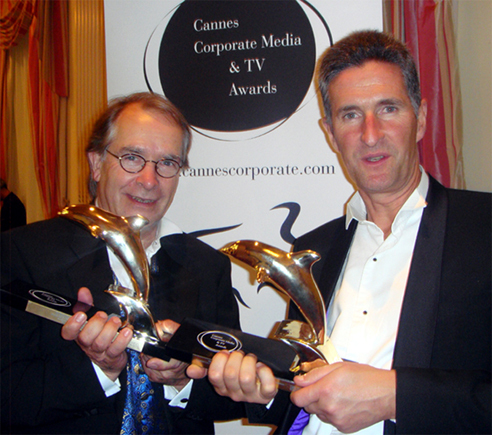 Attending media included BBC, CNN, Telegraph, The Times, The Guardian and many more. 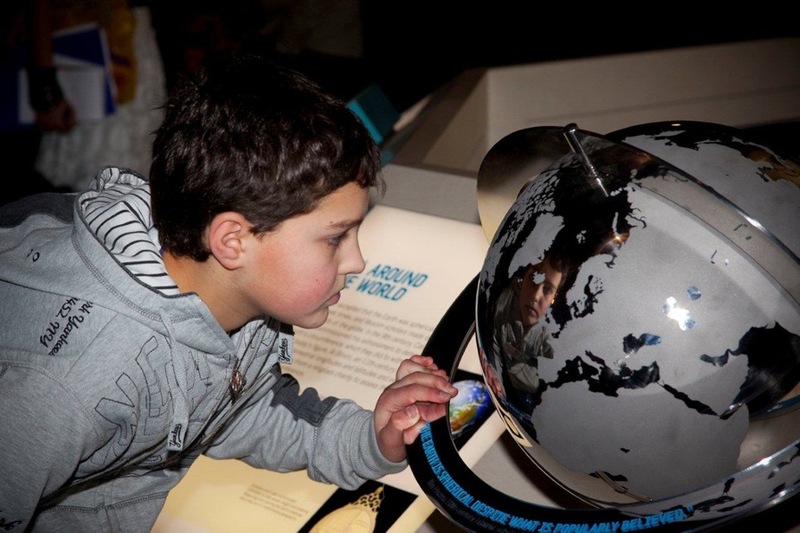 During the five month residency at the London Science Museum, the exhibition attracted visits from numerous VIP’s and distinguished guests from the world of education, tv, science and international governments. 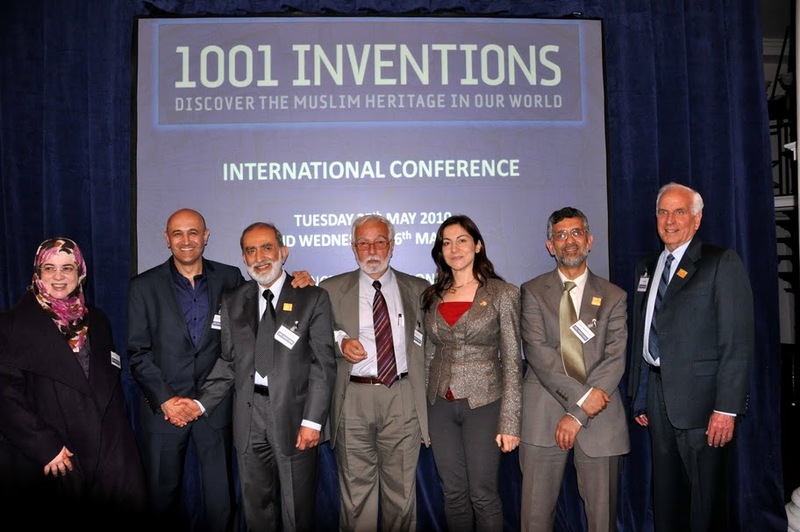 More than 25 UK-based Arab Ambassadors and VIPs attended a special gala reception at London’s Science Museum on Thursday the 24th of June to celebrate the record-breaking run of the 1001 Inventions exhibition. In attendance were representatives from almost a dozen Arab nations, including Lebanon, Algeria, Tunisia, Iraq, Kuwait, Lebanon, Egypt, Saudi Arabia and Bahrain. Hosts for the evening were Prof. Salim Al-Hassani, chairman of FSTC, and Chris Doyle who is Director of the Council for Arab-British Understanding (CAABU). The interest and plaudits from all these individuals were highly complimentary and supportive of our aims and objectives for this ground breaking educational project and global tour. Left to right: Dr. Zohor Idrisi, FSTC Research Fellow, London, Prof. Jim Al-Khalili (Memeber of British Science Association and TV & Radio Presenter at BBC), Prof. Salim Al-Hassani (Chairman of FSTC), Prof. George Saliba (Professor of Arabic and Islamic Science at Columbia University, New York), Dr. Rim Turkmani (Imperial College, London), Prof. Mohammed El-Gomati (York University, UK) and Dr. Charles Savage (Muslim Heritage Awareness Group, from Munich, Germany) at the opening session of the international conference. 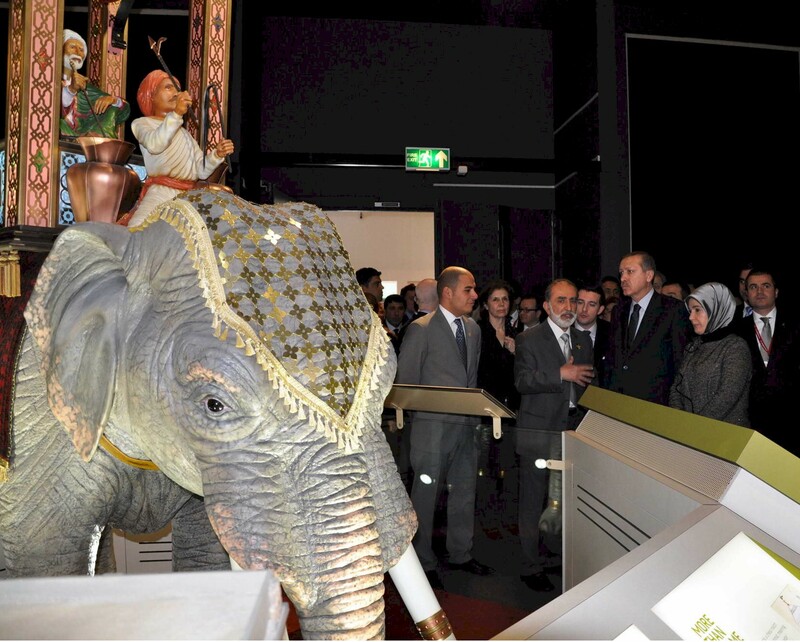 On the 16th March 2010 we hosted a private visit to the exhibition by the Turkish Prime Minister Recep Tayyip Erdoğan, his family and ministers during an official state visit to the UK to meet with Gordon Brown. 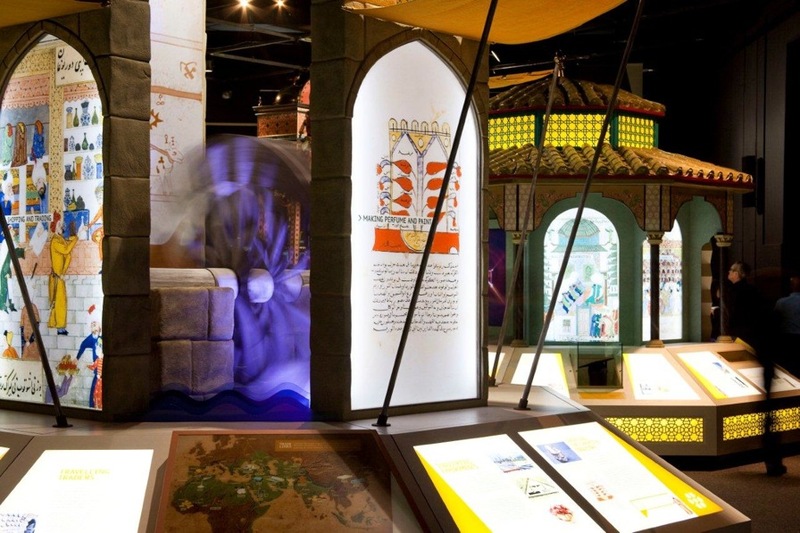 The exhibition was closed to the public during this special one-hour guided tour which was carried out by Professor Al-Hassani. Mr. Erdoğan showed great knowledge and interest in the exhibits, the inventors and scientists from Muslim civilization. Before concluding the tour, Mr. Erdoğan expressed his delight and appreciation towards the exhibition and officially invited the Professor to kindly bring it to Istanbul immediately after closing in London, to form part of Istanbul’s ‘Capital of Culture’ programme. This was a request we could not turn down and Istanbul was to become the first stop on our world tour. 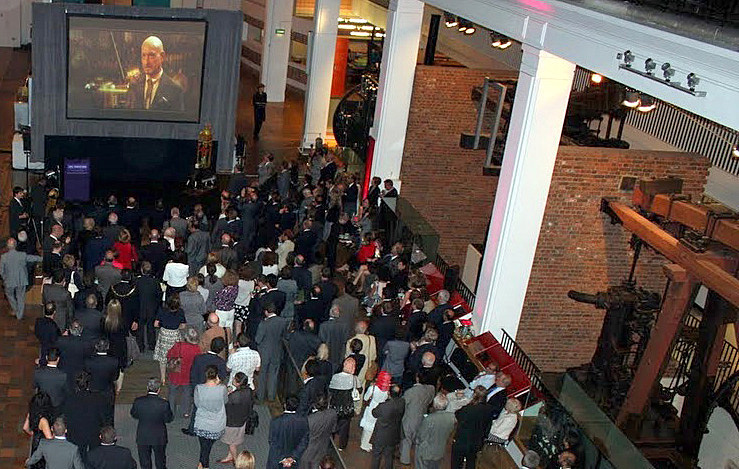 A special invite only gala event was held on the 25th May 2010 to collectively celebrate the enormous success of the 1001 Inventions exhibition in London and to ceremonially handover the exhibition to Istanbul. The gala was held within the Science Museum with guests including dignitaries and personalities from the world of academia, science, TV and government. 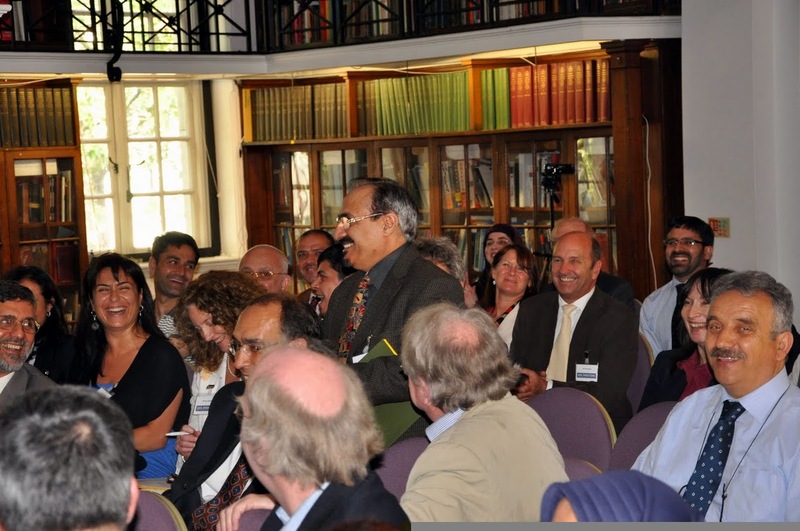 Amongst the guests were Professor Jim Al-Khalili, Professor George Saliba, HRH Princess Sumaya bint El Hassan, Sir Crispin Tickell, Bettany Hughes, and many more. 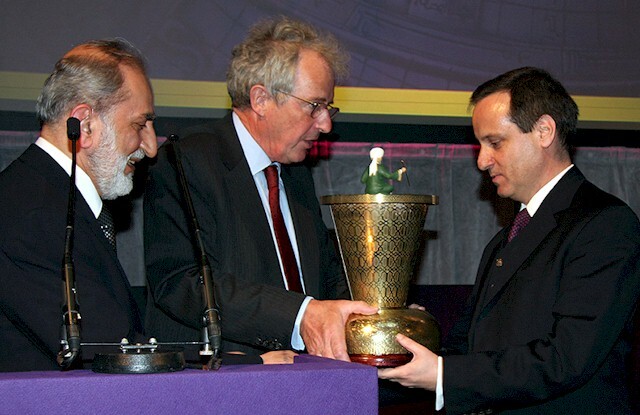 To mark the handover of the exhibition from London to Istanbul, Professor Salim Al-Hassani (Chairman of FSTC) and Lord William Waldegrave (Chairman of the Science Museum, London) delivered a model of Al-Jazari's 12th century Scribe Clock to His Excellency, Minister Kerem Kiratli (of the Turkish Republic) as a symbolic gesture. PHOTO: (Left to right) Professor Salim Al-Hassani (Chairman of FSTC) and Lord William Waldegrave (Chairman of the Science Museum, London) handing over a model of Al-Jazari's 12th century Scribe Clock to Minister Kerem Kiratli (of the Turkish Republic) as a symbolic handover of the 1001 Inventions exhibition from London to the City of Istanbul. Professor Salim Al-Hassani interviewed by the media after the official opening of the exhibition.